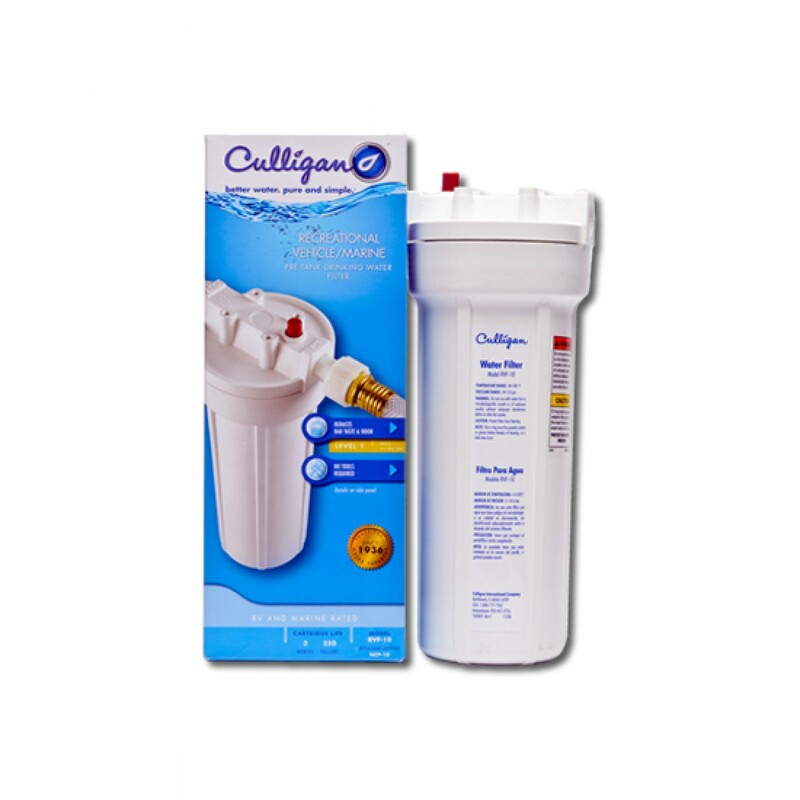 Easy to install in RVs, campers and boats, the Culligan RVF-10 RV pre-tank exterior water filter will ensure you have clean and crisp tasting water on each of your trips or travels! A genuine OE part, this system will install quickly and easily, and go to work immediately by reducing potentially harmful impurities and contaminants before they make it through your tap. Replace every three months to most effectively reduce chlorine, sediment, bad taste and odor. Comes complete with everything needed for installation. 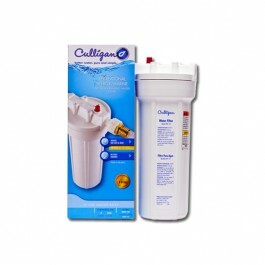 Order the Culligan RVF-10 RV pre-tank exterior water filter online from FridgeFilters.com today. Keeps your water quality high when you are on the road! The CULLIGAN-RVF-10 does not reduce fluoride.